Indiana University East’s School of Nursing is now the School of Nursing and Health Services. Indiana University East is pleased to welcome new faculty members to the School of Nursing. Amanda Carmack is a lecturer in nursing. 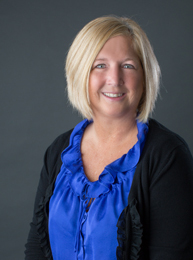 She received her Master of Science in Nursing in Education from IU East and her Master of Business Administration from Indiana Wesleyan University. Carmack received her Associate of Science in Nursing from Ivy Tech Community College in Richmond, and her Bachelor of Arts in English from Northern Kentucky University. She is currently working on her Doctor of Nursing Practice at IUPUI. Nursing students from IU East stepped outside the campus and into different cultures during three recent real-world journeys. They immersed themselves into poverty, cultural diversity and community medicine in different areas of the United States. The Indiana University East School of Nursing has received notice from the Accreditation Commission for Education in Nursing (ACEN) Board of Commissioners that the Master of Science of Nursing program has received a five-year initial accreditation. Indiana University East will host Family Move Night beginning at 5:30 p.m. on Friday, May 17, in the Whitewater Hall Lobby. Courtney Crozier and Marci Crozier, former competitors on the Biggest Loser Season 11, will speak on nutrition and exercise at 6:30 p.m. in Vivian Auditorium. The pinning ceremony for Indiana University East nursing graduates on Friday, May 10, begins at 2 p.m. with a slide show followed by the ceremony at 2:30 p.m. The annual ceremony for nursing students will be held at the Ligthhouse Assembly of God, located at 2339 West Cart Road in Richmond. Indiana University East is pleased to welcome its newest faculty in the School of Nursing to further enhance the campus’ mission as a comprehensive bachelor’s and master’s degree institution. Two new faculty began at the start of the fall 2012 semester. Gloria Dixon, lecturer of nursing, received her Master of Science in Nursing Administration from Indiana Wesleyan University. She earned her Bachelor of Science in Nursing and her Associate of Science in Nursing from IU East. The Indiana University East School of Nursing will honor three individuals with Nursing Excellence Awards during its upcoming gala “Celebration of Caring: Toasting a Legacy” from 6-10 p.m. on September 28. The nursing gala will be held at J&J Winery.